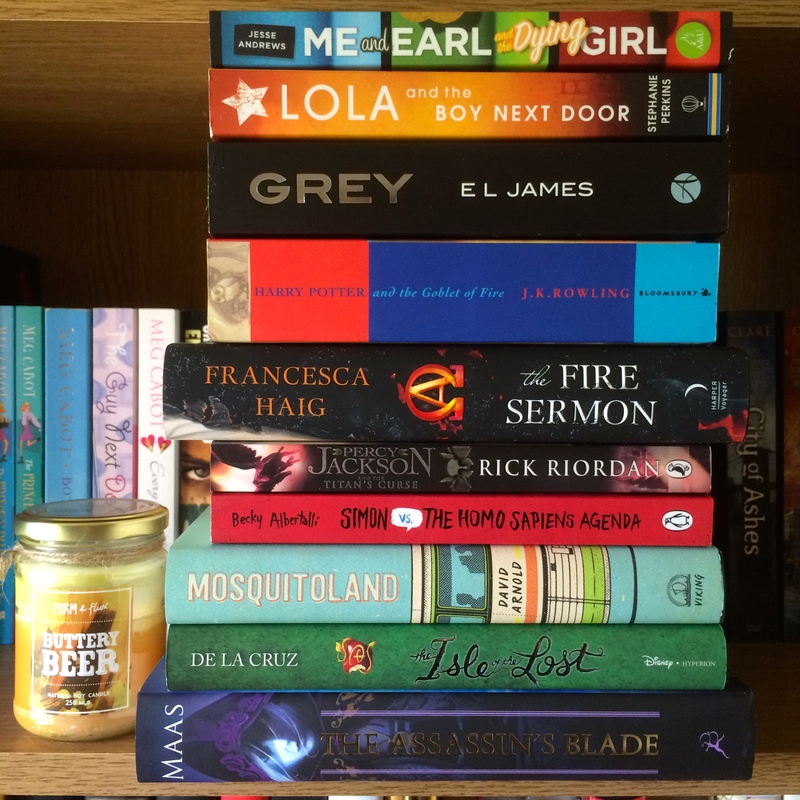 Last month I set myself the challenge of reading eight books in June – the most I’ve ever attempted to read in a month. I failed, abysmally. In fact, I read (equally) fewer books in June (five) than I’ve read in any previous month of 2015, and of those five, only three were on my TBR for June. However, I did have an exceptionally busy month, attending four concerts in four different cities (5 Seconds of Summer – Birmingham; One Direction – Cardiff; Taylor Swift – Glasgow; Taylor Swift – Manchester) so I’ve been on the road a lot, leaving little time for reading. I’m currently in the process of reading the first five novels on the list, so finishing those will take priority! I’ve also got ‘The Fire Sermon’, ‘The Assassin’s Blade’ and ‘Percy Jackson and the Titan’s Curse’ loaded onto my Audible so I’m hoping to listen to them whilst travelling/lying by the pool. I love summer!